Courtesy Stefan Malsch (CC BY-SA 3.0). Scientists use Piz Daint simulations to track heavy summer precipitation from the Mediterranean. 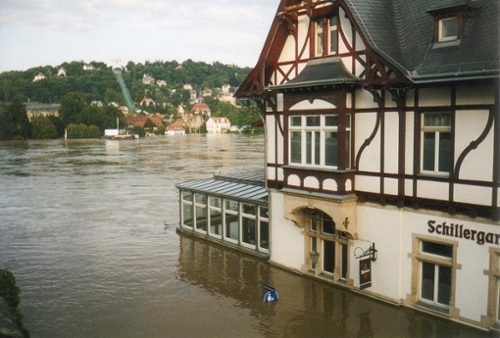 Every few years, Europeans witness extreme weather events in summer: Torrential precipitation on the northern side of the Alps and in central Europe often causes the Elbe, Danube, and Rhine rivers to swell and flood their regions. These meteorological phenomena can be traced back to several factors, among which are special types of Mediterranean low-pressure systems known as Vb cyclones. From Genoa, these Vb cyclones move across the Po Valley or the northern Adriatic and then northwards, carrying with them vast amounts of moisture. But from where does that moisture originally come? In previous studies, water in the soil, in the Atlantic Ocean, and in the Mediterranean Sea have all been considered and debated as factors contributing to extreme weather events. However, the role those sources play as individual contributors to the total moisture content of a Vb cyclone has never been fully understood. In research published in Earth System Dynamics, climate scientists working at the Oeschger Centre for Climate Change Research located at the University of Bern ran multiple models on the Piz Daint supercomputer to identify the principal moisture source. Soil moisture, Atlantic Ocean, or Mediterranean Sea? Taking the available data from five extreme events dating between 1979 and 2013 that were attributed to Vb cyclones, the researchers tested three distinct sources of moisture. In separate simulations they varied the degree of soil moisture and the sea surface temperatures of the Atlantic and Mediterranean. To identify the impact of soil moisture, the researchers defined three scenarios: No moisture at all; a low degree of moisture (such as is typical for Spain); and fully saturated soil. According to the study, the highly unrealistic experimental case of completely dried-out, unsaturated soil was the only one of those three variants that significantly affected the moisture content of the Vb cyclones. With this factor in play, average precipitation amounts in the five case studies reduced by 32 percent. Response to a sea surface temperature change in the Mediterranean is a clear indication that these Vb cyclones responsible for heavy summer precipitation in central Europe take on most of their moisture from the Mediterranean. Meanwhile, the two other soil moisture experiments showed only minor effects on the Vb cyclones under investigation. In the investigation of the Atlantic, researchers altered the ocean’s surface temperature by plus or minus 5 Kelvin relative to the present-day figure. Results showed that these changes barely affected the cyclones’ moisture content. Only when the model was fed with changes in the Mediterranean Sea’s surface temperature did the system show a notable change: When the sea surface temperature increased by 5 Kelvin, average precipitation amounts in the cyclones rose by 24 percent. "Sensitivity studies like these on real events are an experiment where we look at how a system reacts to predefined changes," says Martina Messmer, lead author of the study. 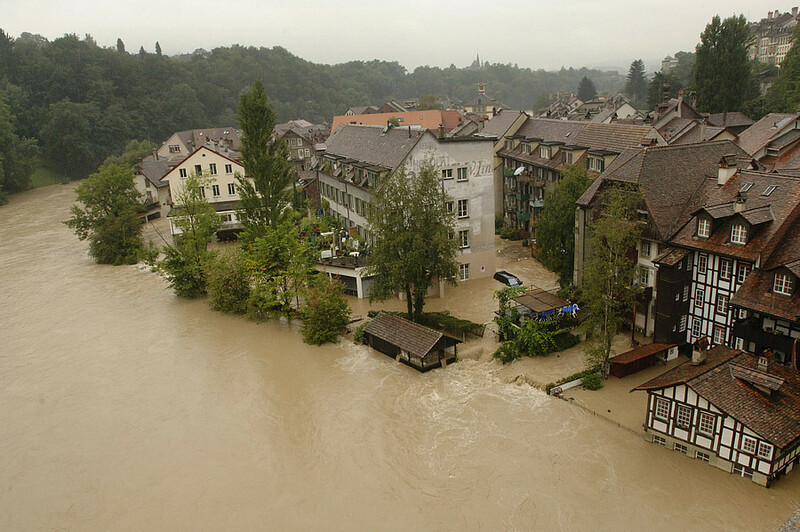 One of the weather events tested in the study was the Central European flood of August 2002. This particular Vb cyclone caused mass flooding especially around the Elbe and Oder rivers. 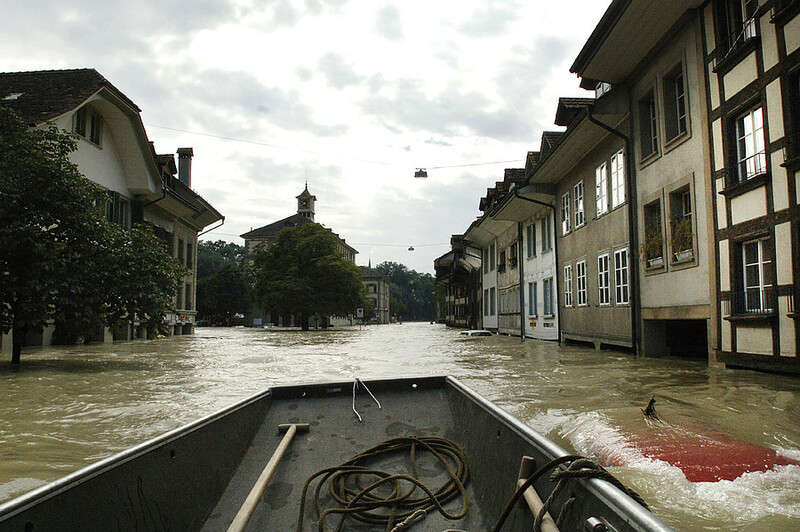 Another event that the researchers put under the microscope was the severe weather and heavy precipitation of summer 2005, which flooded Switzerland in particular. Through sensitivity studies of these actual events, Messmer and her team of researchers came to understand that the system’s response to a sea surface temperature change in the Mediterranean is a clear indication that these Vb cyclones responsible for heavy summer precipitation in central Europe take on most of their moisture from the Mediterranean. The simulations also showed that a Mediterranean sea surface temperature increase diverted precipitation eastward and away from the central Alps. The researchers caution against projecting such an eastward shift under future global warming trends based on this research alone. “The study gives us an indication of how the cyclones might alter their behavior. However, since the complex climate system will change under the influence of future warming, no direct conclusions on climate change can be drawn from our sensitivity studies,” says Christoph Raible, co-author of the study. Studies like these are important because they establish a better understanding of the mechanisms behind such weather conditions and reveal where the cyclones gather their moisture. Knowing now that the Mediterranean Sea is the primary moisture source, researchers prepare to take the next step in their plan, which is to investigate the future impact of global warming on the development and behavior of the infamous Vb cyclones. Read the original story from the Swiss National Supercomputing Centre here.